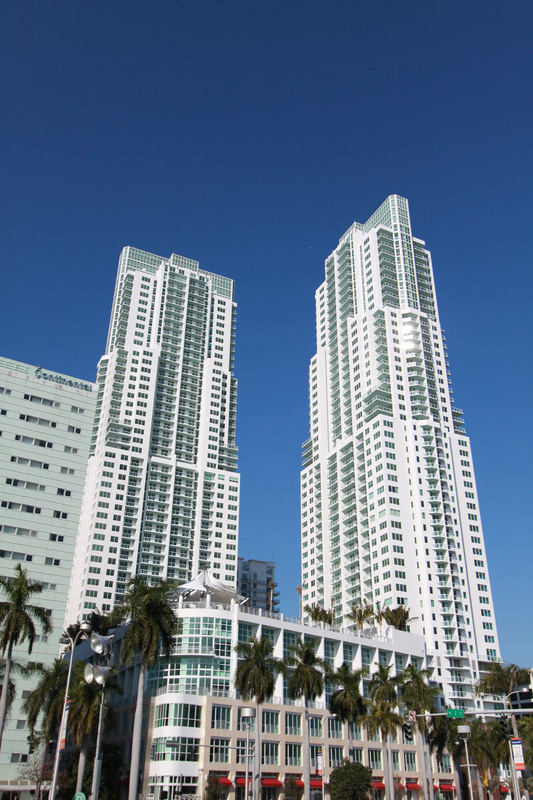 Miami's Vizcayne condo is an urban project comprised of a pair of 49 story buildings connected by a plaza that offers plenty of retail space, the entire condominium was formerly known as Everglades on the Bay. The buildings overlook the Miami cityscape as well as Biscayne Bay and the several islands found to the east. 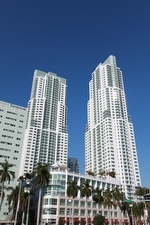 You'll find one, two and three bedroom Miami condos for sale. Vizcayne's amenity deck has a lap pool, tropical swimming pools, a spa and tiki bar. Separate saunas for both men and women, individual aerobic areas for exercising and yoga, a billiard and private lounge room and a party room with its own kitchen for hosting large celebrations lie beyond the lobby. Besides offering views of Biscayne Bay and the city activity within its residences, kitchens at Vizcayne have stainless steel appliances, European style cabinetry, ceramic tile flooring and double sinks. Master bathrooms come with marble flooring, glass shower enclosures and designer vanities. The large Bayfront Park can be walked to from Vizcayne and it has great views of Biscayne Bay. Next door to the north is the Bayside Marketplace which offers al fresco dining and shopping and frequently has live music. For sporting events or concerts you won't have to travel very far since the American Airlines Arena is north of Bayside. 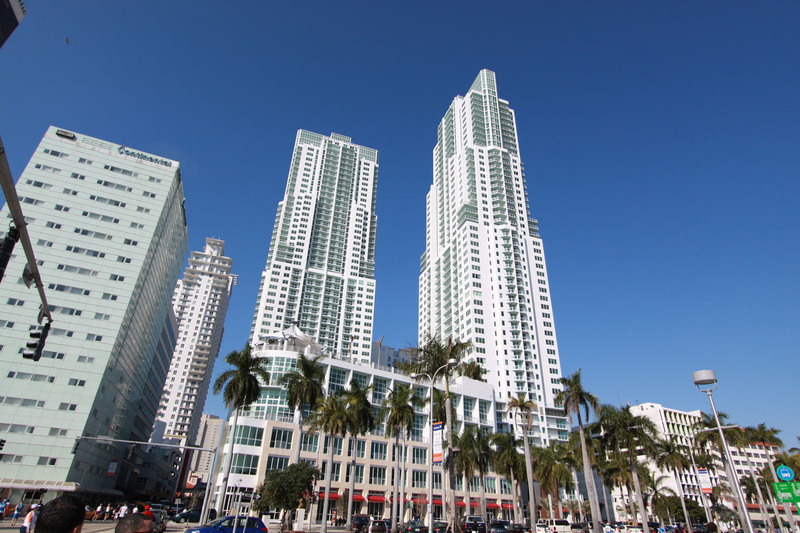 Explore the Brickell area to the south or head east and check out the barrier island of Miami Beach and its famous Lincoln Road and Ocean Drive.